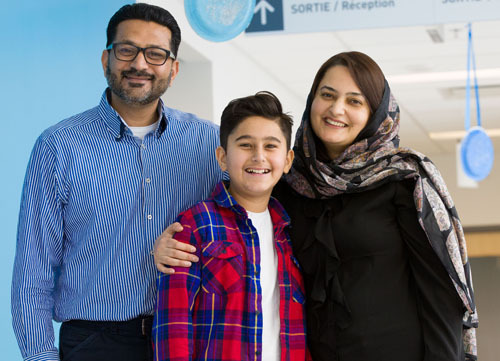 When Mustafa and his family immigrated to Canada from Pakistan in August of 2014, he couldn’t wait to learn how to skate so that he could partake in his new country’s beloved pastime: hockey. As soon as winter came, he headed to his local skating rink in Kirkland and gave it his very best. But as every first-time skater can attest, it wasn’t easy to stay on his skates. “He was learning, so he ended up falling a lot,” says his mother Nadia. That was when he first started complaining of wrist pain, she explains, that would creep back up with no explanation. Just a few months later, when Mustafa was in gym class, the symptoms took on a whole new level of concern. “Mustafa’s gym teacher was showing the students how to do a proper push up, and he just couldn’t bend his wrist into position. That’s when I started to get really scared,” says Nadia. Just a month after his symptoms started worsening, Mustafa woke up one morning with bruises on his palm, and an extremely swollen hand. Nadia rushed to the Montreal Children’s Hospital Emergency Room to get answers. The team evaluated him and confirmed Mustafa was dealing with something serious. 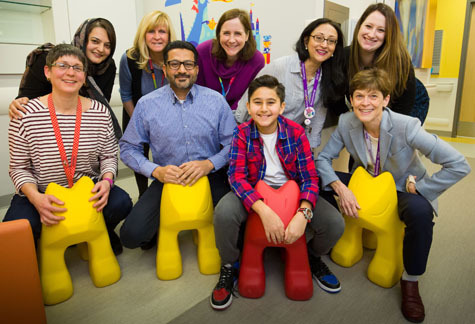 The family was immediately scheduled for an appointment in the Pediatric Day Centre the next day, where they met with pediatric rheumatologist Dr. Claire LeBlanc who ran a series of tests to determine the cause of his inflammation. 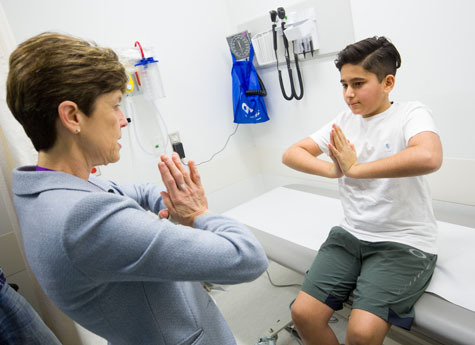 It was determined that Mustafa had a type of juvenile idiopathic arthritis called enthesitis-related arthritis or ERA. Sophie Laniel, Mustafa’s occupational therapist, says his recovery has been very impressive to watch. “He never gave up, he always followed my recommendations, and to see how far he has come is just factastic,” she says.